Korean language learners often look for creatively designed, lightweight and feature-heavy android apps. 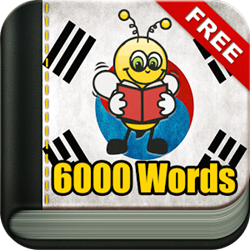 Learn Korean 6000 Words, a popular vocabulary app, was recently redesigned by the developers. Fun Easy Learn, a well-known e-learning app development firm, recently redesigned one of their most downloaded software products, Learn Korean 6000 Words. The developers stated that the older version of the Korean language learning app used to bear the same design that they launched almost a year back. They made an official announcement that the redesigned Korean vocabulary app has been re-launched through Android app store. “While new users can only see the new design when they download the app, our existing users can get a free upgrade to the newer version if they already have the app installed on their phone. We are quite optimistic about the market success of the newly designed app as we have received hundreds of positive reviews from our existing users”, said one senior app designer working with Learn Korean 6000 Words. He also said that further changes to the user interface might be brought in the future based on feedback from the user community. Learn Korean 6000 Words, according to Fun Easy Learn developers; have undergone major changes in primarily two places. They said that the material design for Android is completely new. They also added that the bugs have been successfully fixed. “We can only say at this moment that the new design of the Learn Korean 6000 Words is refreshing and eye-catching. We will certainly improve the interface in the future. However, we are looking forward to getting honest reviews from our users. Based on the user reviews, we will update the app in the future”, the app designer said during a recent tech conference held in New York City. The co-founder and executive director of Fun Easy Learn recently appeared briefly before the press representatives here in NY. He said that the primary objective of Fun Easy Learn at this moment is to get new users. “We want to make sure that the new-age Smartphone and tablet users find the Learn Korean 6000 Words app both attractive and interactive. Other apps in our product line have also been redesigned of late”, said the CEO of Fun Easy Learn. Fun Easy Learn is a leading e-learning app development firm.